fengshuicleansing - Why Tilt Doors? There are several reasons for tilting door. Your main door could be facing your inauspicious direction (done by bazhai fengshui practitioner), to tap into good flying star (done by a flying star fengshui practitoner), or to tap into auspicious period (by a xuan kong da gua fengshui practitioner). Xuan kong da gua fengshui is based on the iching. There are 64 hexagrams, it is said that these 64 hexagrams actually prelude the binary system which is currently used for mathematical calculation in all computing systems. From this you realise how profound the iching is. In xuan kong da gua you have the element number and the period number. In a fengshui audit we normally focus more on the element number but in tilting door the period number is all important. For example we are now in Period 8 so our prosperous chi comes from period 8 followed by 9 then 1. If your main door faces an inauspicious period before 8 you may consider tilting your door. 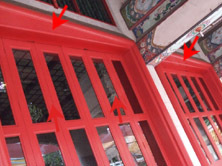 Tilting door is not difficult but very troublesome because magnetic interferences may give inaccurate reading. So it may take 2 - 4 hours just to get the right angle. Also in certain places, they do not allow you to tilt your door eg condominiums and some shopping complexes. 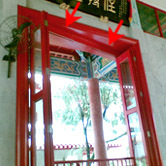 The most famous and notable case of door slanting was done at the Singapore Hyatt by a Buddhist Monk also a fengshui practitioner Venerable Hong Choon. 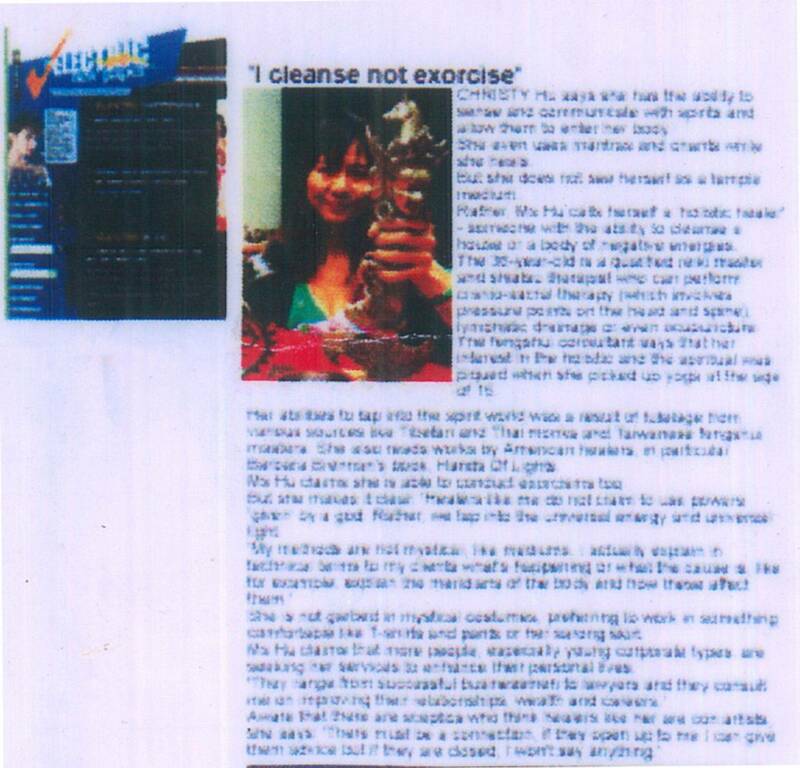 According to the Press, in 1973 Venerable Hong Choon informed the Singapore Hyatt that a renovation would be needed to be carried out by 1983/ 84 in order to accommodate the change in Feng Shui reigning Period from 6 to 7. Right after the alignment the Hotel started to boom from 40% occupancy to 100% occupancy. Venerable Hong Choon was the abbot for the Kong Meng Sang Monastery in Bright Hill. If you visit it you will see that all the doors at the main shrine are slanted to tap into prosperous chi. Could this be why this temple is doing so well?